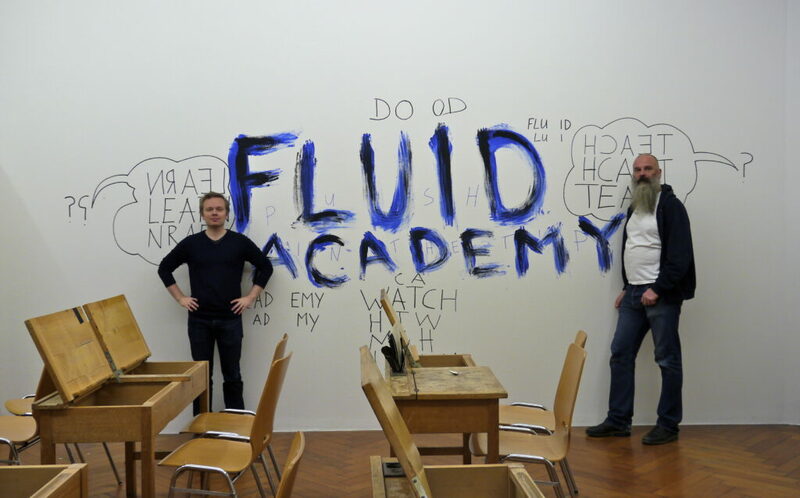 Besides watching performances each night, I spent my days in Fluid Academy organised by Jörn; an open learning and teaching space of five days for anyone interested. It was like a workshop but not exactly. Jörn had chosen some themes for each day and invited some guests but on top of that there were no teachers or students. That was the rule. All participants were teachers and students at the same time. 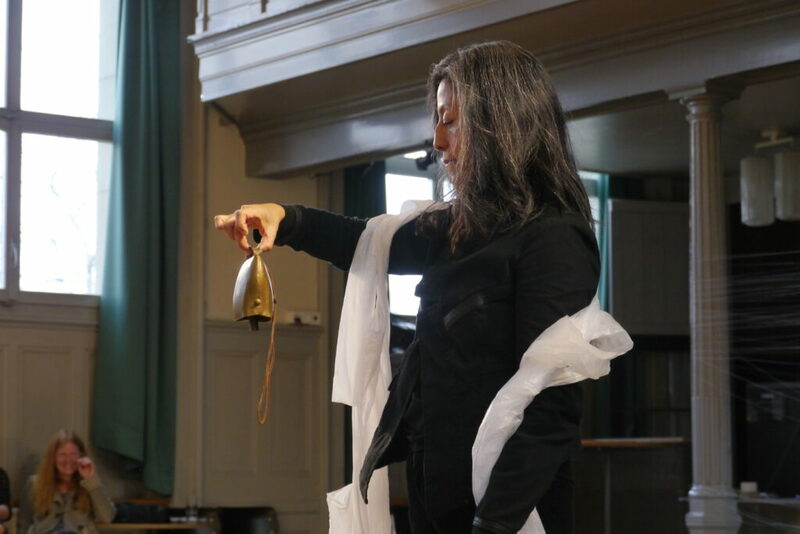 In the first day Jörn wrote on the black board “How to be fluid?” and we all, including him, started improvising in the space with some random objects and materials that were put there. By meeting artists with different ages, backrounds and practises in action was the answer. The following days we observed the streets of Bern through a wooden frame and created performance scripts from the most interesting observations. Then there were guests. 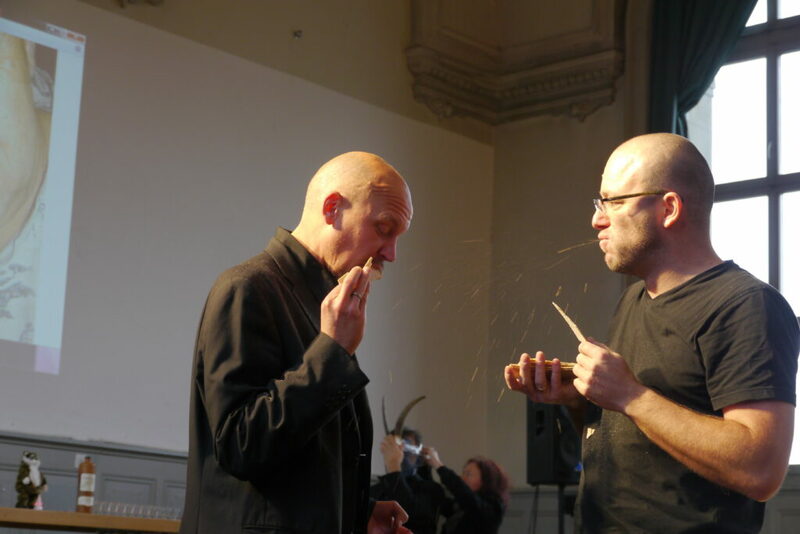 Performance Artist Dani Ploeger threw his interest in žižekian objective and subjective violence on to the table and held a music lesson of Denis Cuspert’s music; the rap he did under the name Deso Dogg and the jihad war song he has done as Abu Talha al-Almani after joining ISIS. 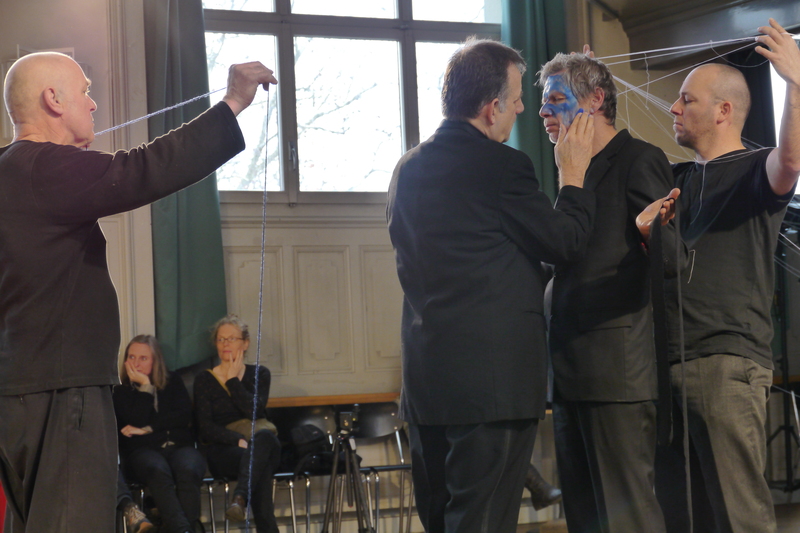 Artist, Curator and Writer Joël Verwimp instead wanted to find out could performance art be listed in UNESCO’s Intangible Cultural Heritage list. We went through the criteria by trying out stuff and discussing. 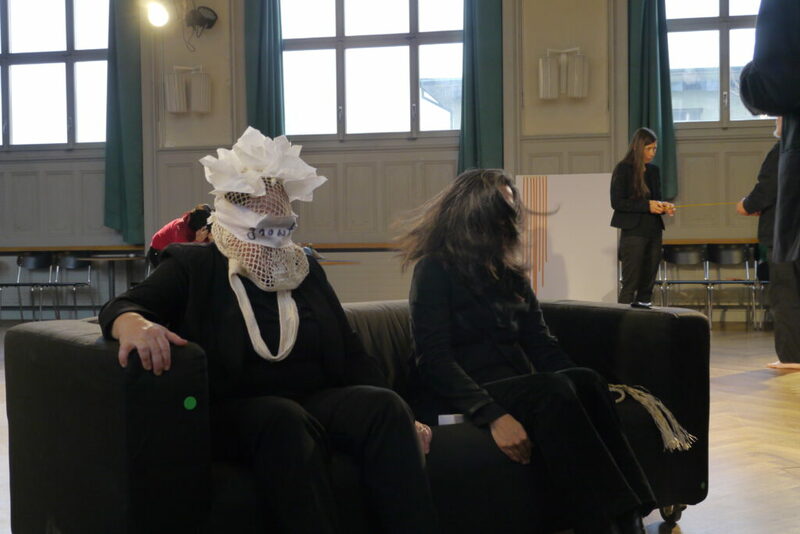 In the end I wasn’t sure if UNESCO would accept performance art in the list but I was convinced that it should be listed, as it is the most accessible of all performative arts (anyone can do it, no particular techniques needed) and yet the most “difficult” because of it’s freedom. On the last day we declared 4th of December as the Day of Performance Art in a tiny public demonstration. 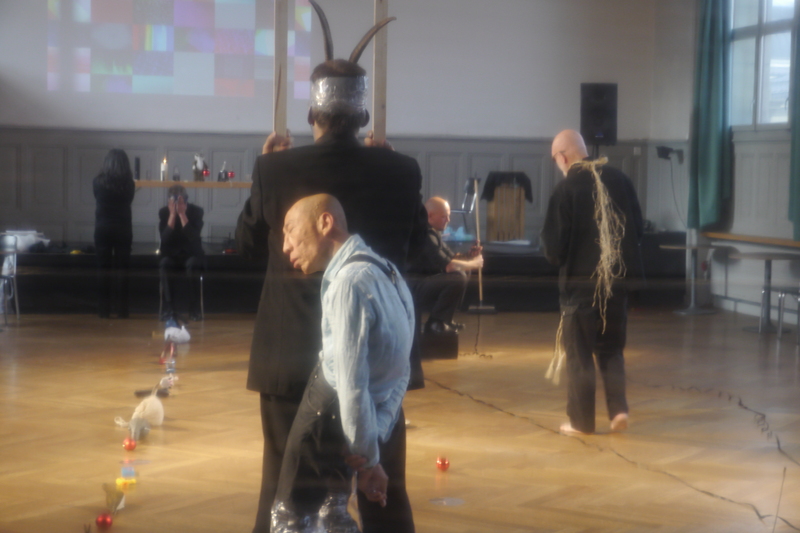 Black Market International, an encounter of 12 performance artists world wide, was celebrating it’s 30th anniversary in BONE 18. The members represent different ages and practices and they meet and perform together once or twice a year. 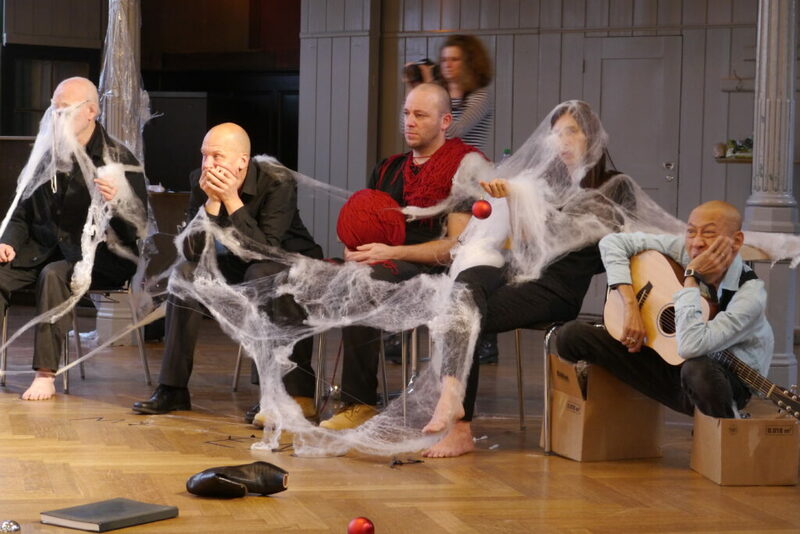 In Bern they were all on stage for two performances based on improvisation, the first without objects and latter with objects and materials. Besides this they each made solo or duo performances throughout the festival. I was really moved by them, by their work, by their attitude and their personalities. 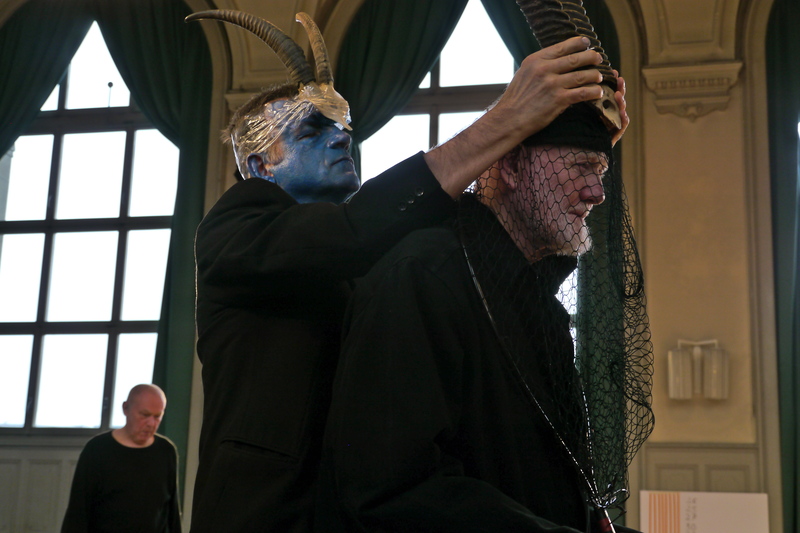 You could see long experience and love of performance art in them. I had a chance to improvise with some of them in Fluid Academy and it was a pleasure. They were so instantly fluid! From behind a plastic wrap: Lee Wen leaning against Jürgen Fritz’s back.